The comfortable, lower-profile shape feels good in either hand, even after a long day of work. Work comfortably all day long with the ambidextrous B100 optical USB mouse. Smooth, responsive optical tracking and plug-and-play USB setup makes using this mouse a real joy. Warranty: Manufacturer's limited three-year hardware warranty. 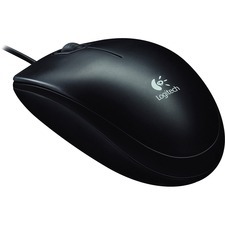 Weight: 0.00 Manufacturer: LOGITECH, INC.